Love the composition of this shot. This image/scene is beyond any words I could possibly imagine ... Stunningly beautiful, awesome colours, amazing detail and clarity of focus. 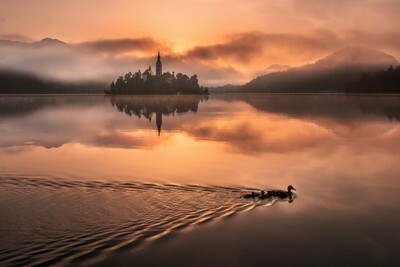 Lake Bled on a misty summer morning on a colorful sunrise with just the perfect amount of fog on the lake.